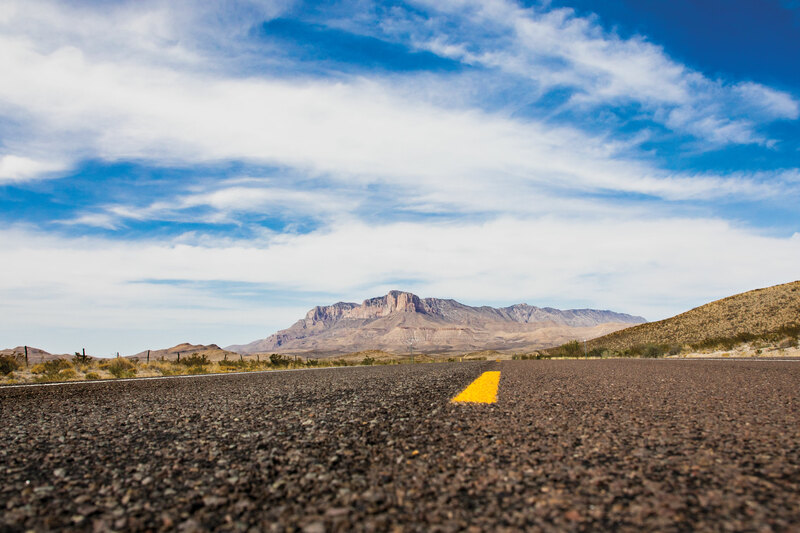 Rising from the Chihuahuan Desert north of Van Horn, the Guadalupe Mountains crest at the four highest elevations in the state—Guadalupe Peak, Bush Mountain, Shumard Peak, and Bartlett Peak. Though slightly shorter, El Capitan stands out as a distinctive limestone cliff towering some 3,000 feet above the road—making it a popular stop for photographers. The range contains some spectacular geological features, including part of the fossilized Capitan Reef, much of which can be seen within Guadalupe Mountains National Park.